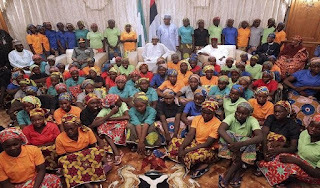 The Federal Government swapped five Boko Haram militants for the 82 Chibok schoolgirls, an authoritative source told Daily Trust yesterday. The girls were released following a complex negotiation that took months to execute, the source said. The outcome should be seen as “a favourable bargain,” considering what obtained in other climes when it comes to prisoner swap of innocent citizens with suspected terrorists, he said. The source, whose name is protected because of the sensitive nature of the release, allayed fears that the release of the insurgents would pose a serious international security breach. He said there was no need to panic over the swap of the girls with Boko Haram commanders because international convention had been respected. The source, said the Boko Haram leaders would not pose any threat to national security considering the level of discussions going on among various stakeholders on not only securing the release of abducted persons, but finding lasting solution to the nearly eight-year insurgency. “One positive aspect of it is that even in the midst of war, if you are talking, that is what people like because you will end up having a peace deal, this is the issue of ‘carrot and stick’ and there is certainty. “The good aspect of this government is that despite the war, despite the fact that the military had subdued this thing, mediation is ongoing and not long after this, you will begin to hear of rehabilitation and reintegration and other components of peace building,” he said. The most important aspect of mediation was “creating goodwill and positive communication. “Less than a dozen insurgents were released and this is an unprecedented feat because we got 82 girls and negotiation is ongoing for the release of more very soon,” he said. Asked how the Swiss Government, the Red Cross and the Nigerian government managed to establish talks with the insurgents, he said, “Is a process that started long ago and culminated in the victory on Saturday. We built confidence over the years especially when we succeeded in the first one (21 girls released last year). “They (Boko Haram) were able to identify their own grudges because Shekau had been saying over the years that they wanted their members that are in prison in Nigeria to be swapped with the Chibok girls. “So, the government agrees, in fact it offered less than a dozen of the prisons and we were able to convince them (Boko Haram) to release 82 of the Chibok girls. 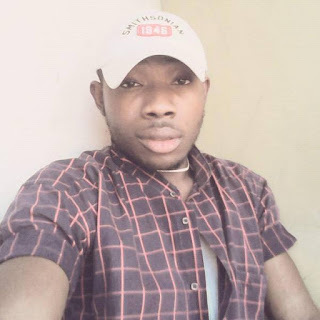 They gave several names of their members to be released for the exchange but we ended up taking those that we took there,” he said. On how the negotiators felt on coming face to face with the deadly Boko Haram commanders for the exchange, he said, “I have the firm belief that it is only when (someone’s time) is due that one would die; and somebody must take the risk and they did. “And secondly, already trust has been built and mediation does not start and end in one day; this thing started long ago just like what happened in Rwanda that brought lasting peace, and the peace and reconciliation committee in South Africa; these are some of the key elements…I have the belief that I would not die until my appointed time, that is why I went. “I can assure that the President Muhammadu Buhari led administration has laid the foundation for lasting solution to the Boko Haram insurgency by opening the doors of conversation. This is not new, it is an acceptable norm all over the world,” he added. The Senator Ahmed Makarfi- led PDP on Sunday condemned the swap saying it violated international best practices which decried negotiating with terrorists. The Minister of Information and Culture, Alhaji Lai Mohammed, in a statement issued by his Media Assistant, Segun Adeyemi, condemned the comments by the PDP. He said it was PDP’s “incompetence and cluelessness” that precipitated the Chibok girls’ crisis in the first instance. Boko Haram elements for the girls, so what? 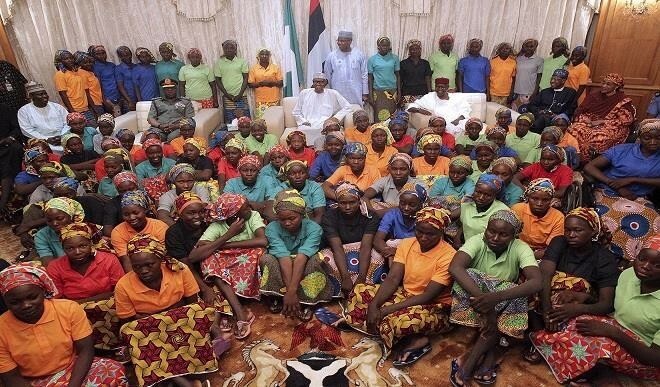 “Will the PDP rather have the girls stay in perpetual captivity, just to prove a ludicrous point? Didn’t superpower United States engage in negotiations with the Taliban that led to the exchange of five Taliban fighters for US Army Sgt Bowe Bergdahl in 2014? “Didn’t Israel release 1,027 Palestinian prisoners in exchange for one Israeli soldier, Gilad Shalit, in 2011?” he asked.